Since my first visit to Bulgaria in 1987, I have been asked by everyone from in-laws to passing strangers if I like Bulgarian food. And for the first 20 years or so, I had difficulty figuring out just what was Bulgarian food. How could I discern what might be truly native and what had crossed the border from Greece or Turkey? 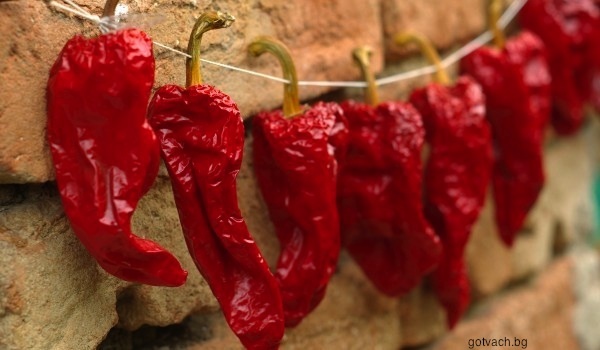 Many of the foods in the Bulgarian kitchen are originally Turkish and just transliterated: meze, kaymak, kofte, gyvech, pasturma, sudjuk, tarator, and yufka, to name a few. I could easily think of individual classic Bulgarian dishes—the ubiquitous and tasty salad of tomato, cucumber and white cheese, shopska salata—or a distinctive ingredient—sunflower oil. Somehow, though, I couldn’t get a sense what made up Bulgarian cuisine as a whole. In travel literature, it is often referred to as “Mediterranean” food notwithstanding the fact that Bulgaria’s borders have never reached that sea. My husband still has memories of his mother making him drink olive oil to try and fatten him up, but she didn’t cook with it. Olive oil was too expensive to use for other than medicinal purposes. 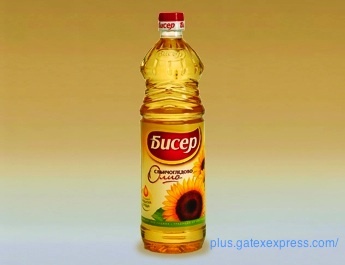 Now you can easily find that signature Mediterranean ingredient in high-end Bulgarian restaurants, but it has yet to cut significantly into the use of sunflower and vegetable oils; Bulgarians still prefer to cook with oil rather than butter. They also use copious amounts of seasonal vegetables be they raw, baked, roasted, sautéed, grilled, pureed or put up for the winter. 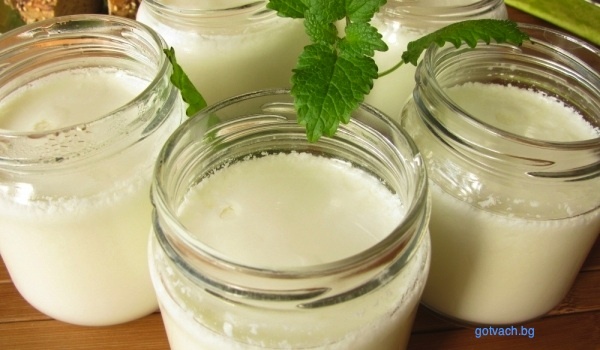 Yogurt with its lactobacillus bulgaricus culture and cheese, both made from cow, sheep, goat and even buffalo milk, are eaten on their own and used as well as basic ingredients in everything from bread to soup to main dishes to desserts. Legumes in salads and soups are ever present. 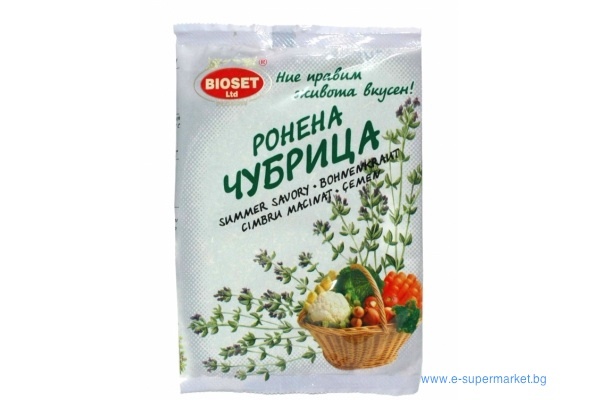 Bulgarians use chubritza (akin to savory, alone or combined with other spices in personalized mixtures), djodjan (spearmint, indispensable with any bean dish), cumin, flat leaf parsley and paprika as their main herbs and spices. Bread on the Bulgarian table is a must. For many years that meant the same machine-made all-white uncut loaf supplied by government-run bakeries throughout the country. 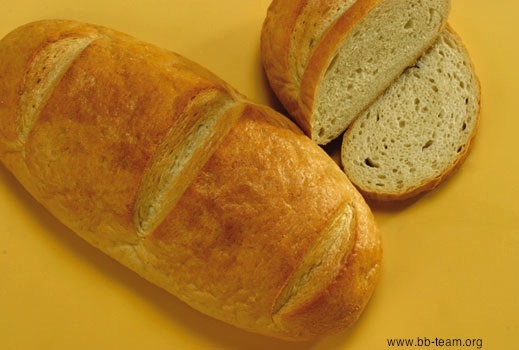 This is still the loaf of choice for most and even post-communism it remains subsidized through European Commission-approved (at least for now) government payments to grain producers, although the producers are now privatized. The price of this loaf is calculated by the kilogram and reportedly remains the cheapest bread in Europe. It is also utterly tasteless, whatever the quality of flour, water, yeast and salt that may have gone into it. Fortunately in Sofia and in other large cities you can now easily buy a wide variety of breads, though these today include a number of tasteless, packaged, pre-sliced loaves of the kind found in grocery stores throughout the United States. But when we lived in Sofia a few years ago, Plamen and Tzveti, the proprietors of the little grocery on our street, received a delivery of hand-kneaded white and whole grain loaves every morning and if I timed things right a loaf was wrapped in butcher paper and put warm in my hand to carry upstairs. The Christmas Eve dinner table showcases glorious handmade round breads called pitka. No knife touches it, instead diners tear off rounds hoping to find kusmetee (fortunes) for the new year. The baker hides within the rising dough symbols for health, happiness, money, love, luck, abundance, and dreams fulfilled. 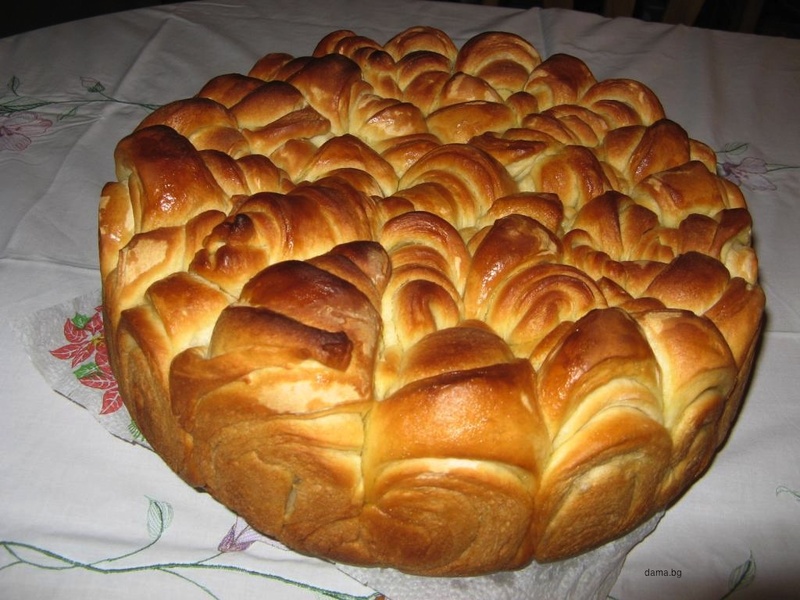 The Easter bread kozunak is a slightly sweet yeast bread, much like a brioche or challah. My husband’s aunt regularly kneads white crumbly sirene (pronounced see-reh-nay) cheese into her bread dough after the first rise, placing small balls of dough into a large round pan. By the time the fragrant baked bread comes out of the oven, the balls have risen into each other to form a full round loaf easily torn off into individual rolls. In the villages, not only is the bread homemade but the sirene and yogurt as well. Sirene is made from cow, sheep goat, or buffalo milk and is one of the two principal cheeses found in Bulgaria; the other is the firm yellow kashkaval, something like a cheddar. There is an overwhelming number of brands of yogurt, sirene and kashkaval, and oh so many people to proffer their recommendations and judgments. How does you choose among 10 or 15 or 20 brands? Not to mention that each brand of yogurt comes in 4.5%, 3.5%, 2% and 0.1% fat. But most Bulgarians are dismissive of skim milk and low-fat yogurt. They prefer whole milk not just for the taste, but their sense that full-fat dairy is just more wholesome altogether. Nearly all the yogurt on the shelf is the traditional plain version, the thicker the better. The long-established test of yogurt quality is to thrust a spoon or knife in the middle. If that spoon or knife stands straight up, it’s a quality yogurt. Ketchup is available (Bulgaria even exported its ketchup to other East Bloc countries back in the day), but it runs a far distant second to the much more flavorful and healthful Bulgarian lyutenitza. I use my mother-in-law’s recipe to put up at least a dozen jars every fall. It’s really a kind of a relish you make in September, when red peppers are most plentiful and least expensive. Lyutenitza and sirene together make a fabulous sandwich. Alone it’s a great dip or it’s a garnish for kufteta, the savory grilled small burgers of minced pork and beef, onion, flat-leaf parsley, and cumin. One November, a cousin in the village sent boxes back with her son who had been visiting from Sofia. There were chubritza and djodjan picked from her garden, jars of lyutenitza she had put up in the fall, bottles of fresh-pressed apple and pear juices, and a turkey plucked and gutted and ready for me to create our own American Thanksgiving in Sofia. She included all the makings for the traditionally vegetarian Bulgarian Christmas Eve meal—sour cabbage ready to be stuffed, dried red peppers also for stuffing, dried plums and other fruits for compote, walnuts the children had great fun shelling on the balcony, homemade red wine and rakiya (fruit brandy). She also sent three liters of milk, the cream thickly risen to the top. We drank nearly all of the milk in just two days. Store-bought milk couldn’t possibly compete. When in September 1987 I was visiting Bulgaria for the first time, my husband instructed his mother to ensure we were not in Sofia for the then commemorated 1944 Socialist Revolution. My mother-in-law’s plan was that we visit family friends in Kuklen and then go to dinner in Plovdiv so that I could see the sights. Kuklen is a small town of only a few thousand people about nine miles due south of Plovdiv in central Bulgaria. Plovdiv dates back thousands of years and still retains an intact Roman theater built in the time of Emperor Trajan. Like Rome, Plovdiv is built on seven hills. Its old town remains full of high stone walls and winding stone-paved streets. I was able to get a bit of the flavor of old town Plovdiv, but no restaurant had seats available on September 9, even far away from the capital’s holiday hoopla. So we ended up driving back to Kuklen, where of course our hostess had not anticipated feeding so many people. I wandered around the large yard led by our hostess’s three-year old grandson. He showed me the rabbits, the chickens and various other sights, pointing and chatting. He must have thought I was the most foolish adult he’d ever met, since my lack of Bulgarian at that time made me entirely unable to hold up my end of the conversation. It was dark when we were called to eat. Two wooden tables had been set up outside under the grape arbor. We ate bread, scrambled eggs from the chickens I had just seen, homemade sirene, and fruit nectar from our hostess’s apricot trees. One day, we were at a cousin’s house in the Danube town of Kozlodui. It was early afternoon, neither lunch nor dinnertime, but the table as always was laden with food for guests. My son was outside in “the yard” climbing up one of the cherry trees to see if any were yet ready. My daughter ate from a jar of homemade yogurt so thick it could be turned upside down without a drop falling, a thick layer of cream sitting on top. If you ask me what is Bulgarian food is like, I still won’t be able to answer with any precision. I can give you my favorite recipes. I can recommend some great dishes and traditional restaurants. I can tell you there are no better tomatoes grown anywhere. I can say that we like it. We do like Bulgarian food.